Media art is one of the most exciting experimental fields to emerge in contemporary art in recent years—and yet its innovations have been sparsely documented. Media Arts Zurich, the third yearbook published by the Department New Media at the newly founded Zurich University of the Arts, seeks to fill this gap, offering an illuminating overview of the Swiss media art scene of the past decade. This book examines the varying approaches, techniques, and strategies of acclaimed media artists as well as the public reception of their work. Accompanied by a companion DVD in PAL format and 400 lavish illustrations, this volume presents thirteen individual artists and groups in the context of their backgrounds, exhibitions, and the state of European media art. 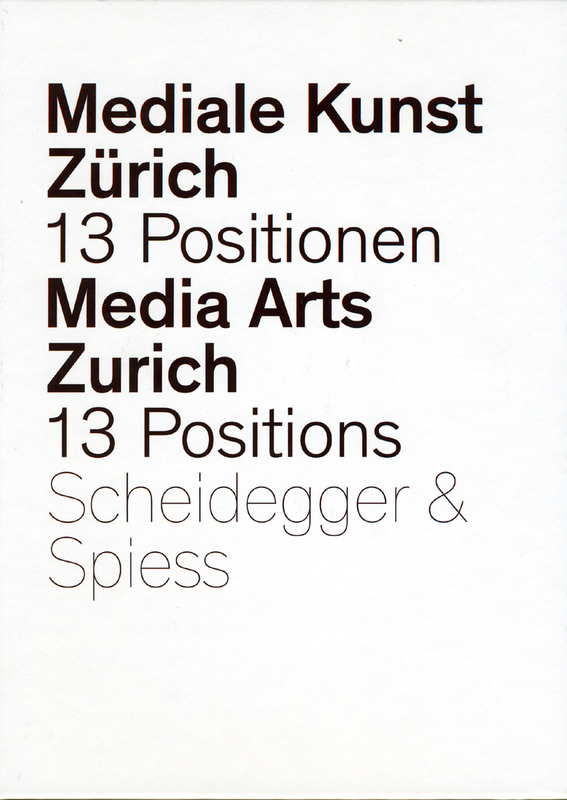 Two essays by art and media historians here position these Swiss media artists in the international art world and document the first ten years and visions for the future of the media art program at the Zurich University of the Arts and its predecessor, the School of Art and Design Zurich. Richly illustrated and deeply informed, Media Arts Zurich points the way to a new European avant-garde.